Assistive hardware provides alternative ways to use types of equipment that are designed for able bodied children. Keyguards, alternative and adapted keyboards, articulated clamps and alternative pointing devices afford children with physical difficulties the same opportunities. A keyguard is a sheet of perspex or metal with holes drilled in it that is fixed over a keyboard. 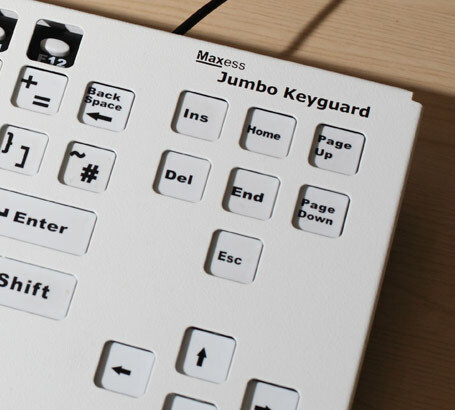 It allows an individual to use a standard keyboard without accidentally hitting the wrong keys. An articulated clamp allows a piece of equipment to be adjusted and fixed in any position that is best for the user. This is particularly useful when trialling a new piece of equipment that may need continual readjustment. In this image, the articulated clamp is securely holding the switch at precisely the correct angle and position on the worktop, allowing the pupil optimum access to the switch. If someone has problems using a standard keyboard there are various alternatives that may be easier for them to use. Devices that can be plugged directly into the USB or keyboard socket on the computer are the easiest to set up and should be able to work with all standard software. Users who are able to manipulate a mouse cursor but who are not able to use a conventional keyboard might use an onscreen keyboard. Further details of alternative keyboards can be found on the Inclusive Technology website. There are two types of joystick: the analogue joystick and the switched joystick, which is really a number of switches in fixed positions operated by a single lever. 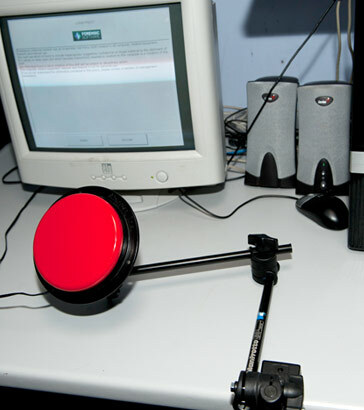 Most software now uses the mouse pointer for control, often providing no alternative. The mouse not only requires moderate to good hand/eye coordination but also fine motor control – and a wide range of users may struggle with its use. 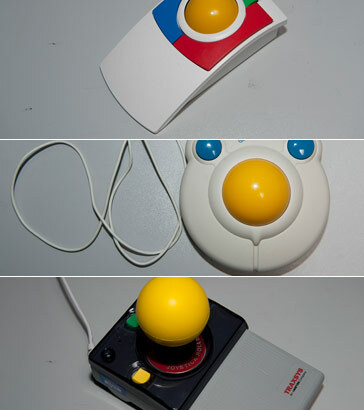 The use of alternative mice such as trackerballs and joysticks can alleviate some of these problems. This content is adapted from Switch Access to Technology; A comprehensive guide by David Colven and Simon Judge, ACE Centre.